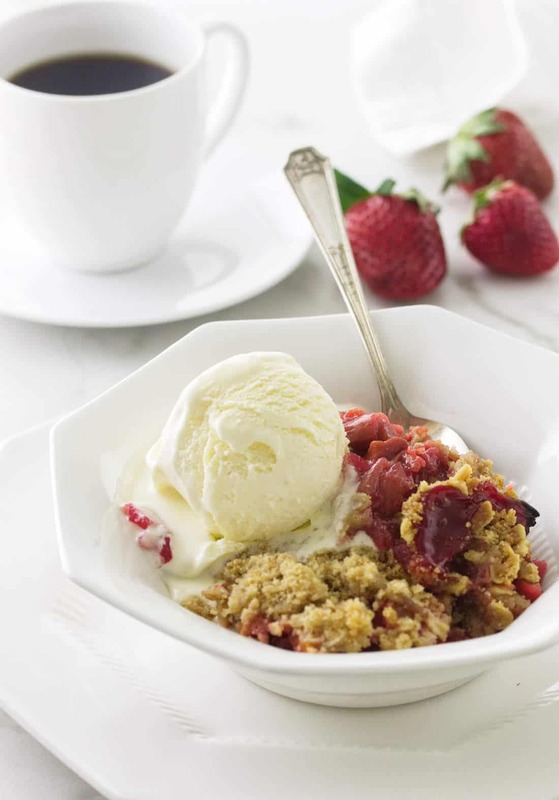 Sweet strawberries and tart rhubarb are a delightful mix in this Strawberry Rhubarb Crisp. This easy dessert has all the goodness of a strawberry rhubarb pie without the bother of rolling a pastry crust. The fragrance and sweetness of ripe strawberries are one of my happy memories as a kid. I fondly remember the good-old-days as a child when I would slip out to the family strawberry patch for a sweet snack of those bright-red jewels. 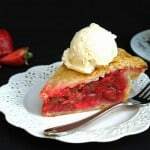 Combine the sweetness of those luscious strawberries with the tartness of rhubarb and you have a delightful combination of flavors in this simple old-fashioned dessert. The topping is a crunchy, cinnamon-scented streusel. Because of the cold temperatures and long daylight hours in Alaska, the rhubarb plant can grow to 8-feet tall. 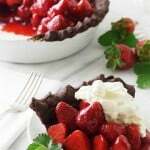 Slice up the rhubarb in one bowl and the strawberries in another larger bowl. 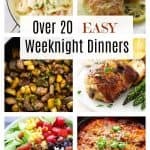 Toss each bowl with sugar and let sit to soak for ten to fifteen minutes. This technique is known as “macerating” and will help the fruit release some of there juices and intensify the flavors. 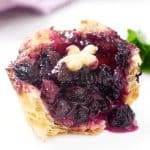 While the fruit was soaking the topping was prepared by combining the ingredients with a pastry blender. 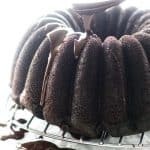 If you don’t have a pastry blender, fingers or a fork work just great. Next, we drained and discarded the accumulated liquid from the rhubarb and combined the rhubarb slices with the strawberries. All that juicy fruit needed something to thicken it up and give it somebody, so we added a little cornstarch. We transferred the mixture to a baking dish and covered it with the prepared topping. 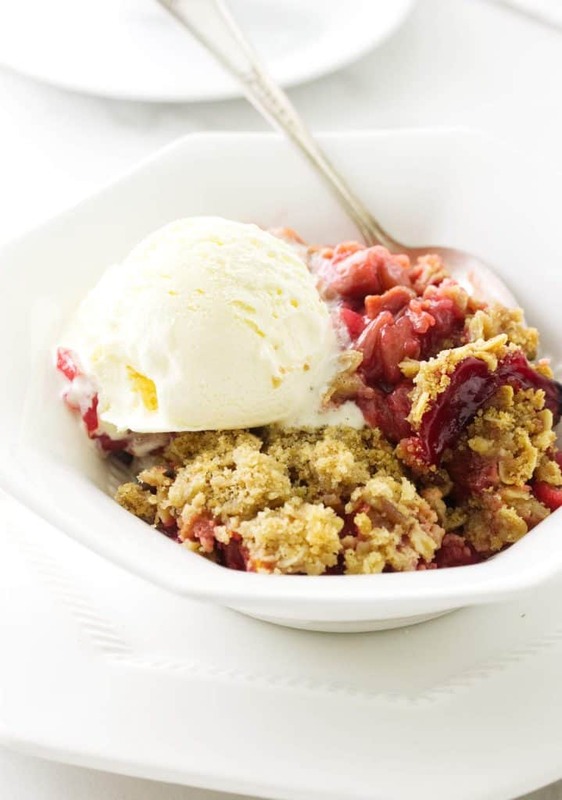 The strawberry rhubarb crisp baked for thirty minutes at 375°F then the temp was reduced to 325°F for an additional twenty-five minutes to get all bubbly around the edges. This fruit crisp is delicious warm or cold. 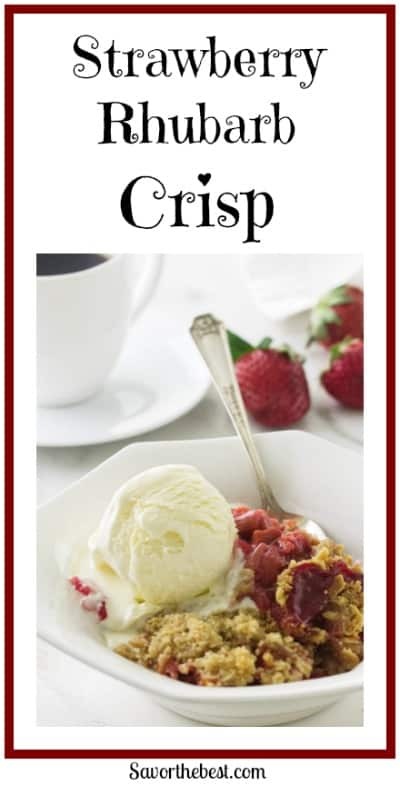 Our favorite way to eat this crisp is to serve it warm with a scoop of vanilla ice cream on top! We would love to have you share your favorite fruit crisp or combination of fruits. 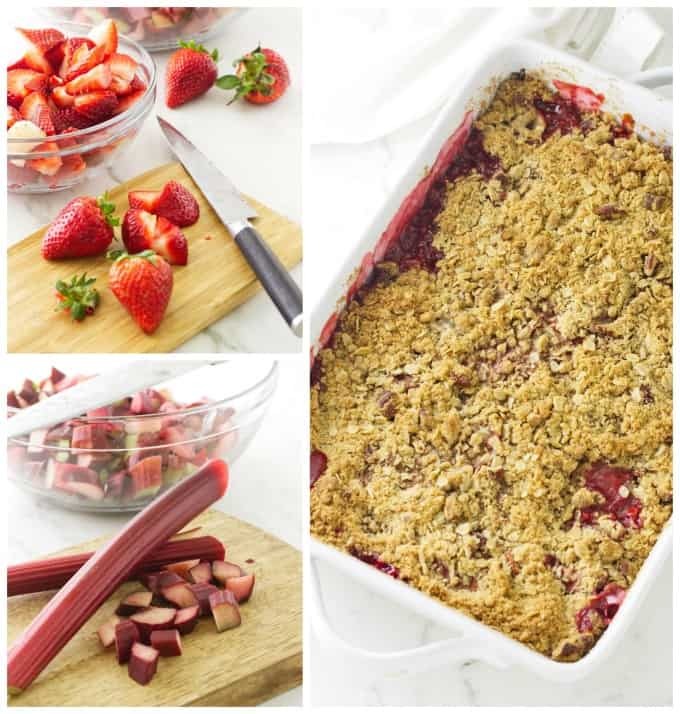 Have you made this Strawberry Rhubarb Crisp yet? We would love to hear from you. Drop us a comment below or tag us on Instagram. 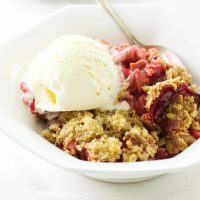 Combine the sweetness of luscious ripe strawberries with the tartness of rhubarb and you have a delightful combination of flavors in this simple old-fashioned dessert that is topped off with a crunchy, crisp topping. Place the sliced rhubarb to a medium size bowl and sprinkle with 3/4 cup of the sugar, stirring to distribute throughout. Let the mixture sit for 15 minutes, stirring occasionally to withdraw some of the liquid in the slices. Combine the sugar, flour, oats, cinnamon and salt to a large bowl and mix well. Add the butter and mix with a pastry blender or fork, working to a crumbly consistency. Stir in the chopped pecans, then set the topping aside. Pour off and discard all but 1/4 cup of the accumulate liquid from the rhubarb. Add the drained rhubarb to the bowl of strawberries and toss to combine. In a small dish, mix the cornstarch, lemon juice and vanilla together with the 1/4 cup of reserved rhubarb juice. Stir the cornstarch mixture into the strawberry-rhubarb mixture, combining well. Transfer the mixture to the prepared baking dish and distribute the reserved topping evenly over the strawberry-rhubarb mixture. Transfer the dish to the middle of the oven. 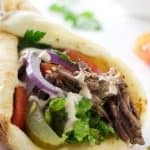 Bake for 30 minutes, reduce the oven to 325°F and bake an additional 25-30 minutes longer until the filling is bubbling at the edges and golden brown. Strawberries and rhubarb play together SO nicely, don’t they? Love that combo! And love crisps — such a tasty desserts. 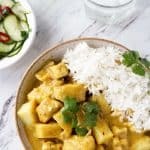 Really nice recipe — thanks. And Happy 4th!